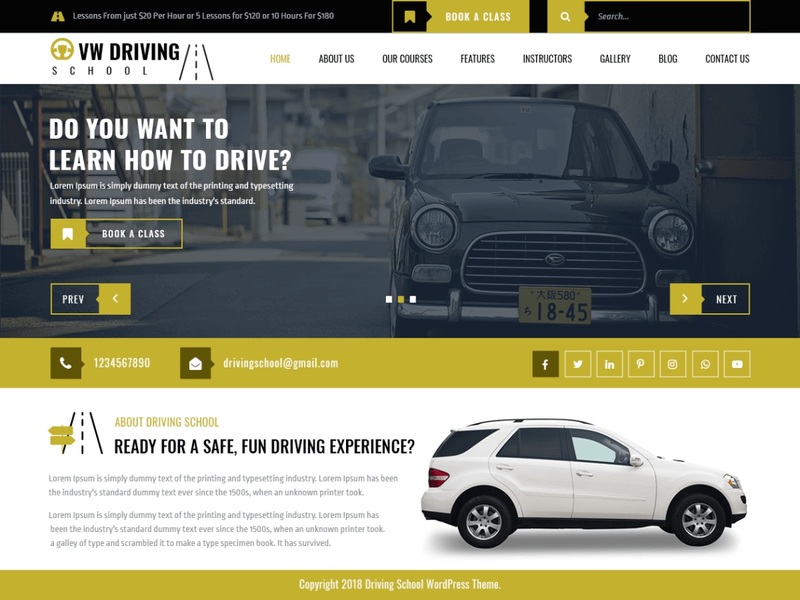 VW Driving School is a dynamic, stunning, feature-full and intuitive WordPress theme for driving schools, driving instructors, parking teacher, car training academy, vehicle license agency, traffic rules classes, and other such institutes and classes. It can be used as a blog for driving tips and road safety instructions. The theme can be customized to suit any coaching and training institute. It has a responsive layout and multi-browser compatibility. This driving theme can be translated into various other languages with the support for RTL writing. Its code is clean and bug-free so you don’t have to worry about any malware threat. It was a very well used call to action (CTA) buttons to make customers do what you want them to. You can have your custom layout and choose any color scheme. It is optimized for SEO to get higher rank in Google search. Use social media icons to market your website. As the theme is built on Bootstrap framework, it caters easy usage with customization available at finger-tips.